AURORA, Colo. – A University of Colorado School of Medicine scientist is finishing a major clinical trial on a drug that could boost cognitive function in those with Down syndrome, significantly improving their quality of life and representing a potential milestone in research on this genetic disorder. Costa is no disinterested researcher, his 16-year-old daughter Tyche – named for the Greek goddess of Fortune – has Down syndrome. Like others with the condition, she faces the specter of a steady decline in mental functioning as she gets older and a roughly 20 percent chance of getting Alzheimer’s in her 50’s. After that diagnosis, death is often just five years away. 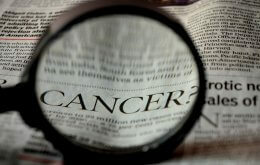 For more information on the clinical trial please go to NCT01112683 at http://www.clinicaltrials.gov. Faculty at the University of Colorado School of Medicine work to advance science and improve care. These faculty members include physicians, educators and scientists at University of Colorado Hospital, Children’s Hospital Colorado, Denver Health, National Jewish Health, and the Denver Veterans Affairs Medical Center. Degrees offered by the CU Denver School of Medicine include doctor of medicine, doctor of physical therapy, and masters of physician assistant studies. The School is located on the University of Colorado’s Anschutz Medical Campus, one of four campuses in the University of Colorado system. For additional news and information, please visit the UC Denver newsroom online.